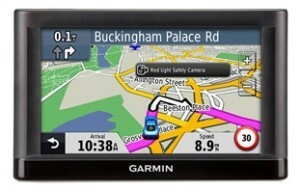 Introducing one of the top selling sat navs on the market we have the Garmin nuvi 52LM sat nav. What makes this one of the market leading sat navs is that the price is very competitive and it doesn’t include any unnecessary features. You can select 3 different screen sizes to your preference, you can also select what region you want to be covered for. However the price is the most competitive when UK & Ireland is selected with lifetime maps which is the product we’re reviewing. Bright 5 inch touchscreen display. Comes loaded with street maps covering the UK and Ireland. Lane assist guides you into the correct lane for tricky turns, exits and junctions. Cyclops safety camera system which alerts you of any nearby speed and safety cameras. Navigate to points of interest such as restaurants, businesses and shops. Emergency locator will bring up details of your exact location by simply tapping the car icon on screen. 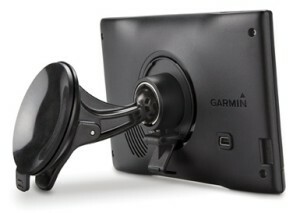 Use Garmin express online to keep your device up to date and install free custom vehicles and voices. Roads are constantly changing and new businesses open therefore it’s important your device keeps up to date with these changes, which is why this sat nav comes with a lifetime worth of updates at no extra cost. The sat nav is loaded with data of the whereabouts of speed and safety cameras, you will be warned in advance when you’re approaching one. However as with roads, new speed and safety cameras are also built which your device would need to be updated to collect this information. The speed and safety camera updates is not included unfortunately, so to get the updates you can either purchase a one off or regular subscription. One of the useful features of points of interest is that you don’t need to know the address of the place you want to go to. As you update your maps, any new businesses, restaurants and shops will also be updated and will be searchable via the points of interest feature. The “Where am I?” feature is a safety feature which can be very useful if you break down or require a local service urgently. You simply tap the car icon on the screen, this will bring up your exact coordinates, address and junction, details of the nearest vehicle recovery services and directions to the nearest hospital, police and petrol stations. 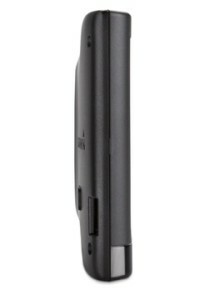 Another top selling sat nav which can be compared to the Garmin nuvi 52LM sat nav is the TomTom Start 25 M, one very noticeable difference is the price of the Garmin is a lot cheaper, so you know you’re getting good value for money when it comes to the Garmin. The other features offered are similar, however the Garmin doesn’t give you the option to subscribe to traffic alerts whereas with the TomTom you can subscribe by paying a fee. But for only a fraction more of the price of the TomTom, the Garmin nuvi 2597LMT will give you access to a traffic updates for a lifetime plus much more. 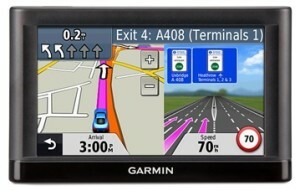 Overall if you only plan to use a sat nav in the UK & Ireland and you’re not bothered about having features such as the traffic updates, then the Garmin nuvi 52LM will more than fulfil your requirements at a very competitive price.